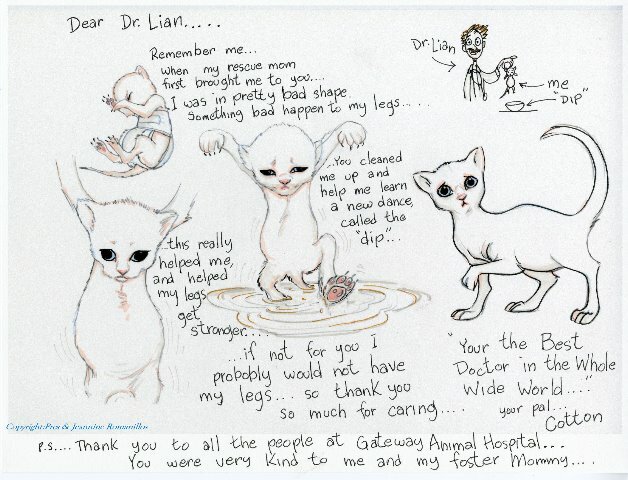 This is Cotton...Dr.Lian and my human Mom worked on him almost every day for four months to save his legs. He is big now and and has gotten adopted . 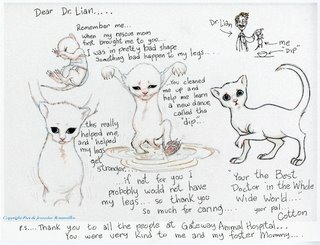 Thanks to my human Mom and Dr. Lian. Pres your Pickle flavor blog is too adorable.I link it to mine right now.